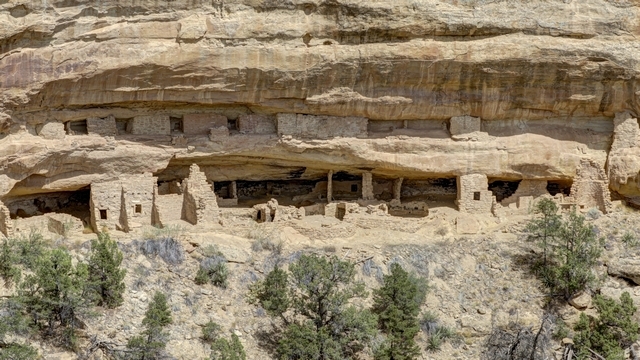 Mesa Verde National Park preserves the record of the Ancestral Pueblo people who made this place their home for more than 750 years. 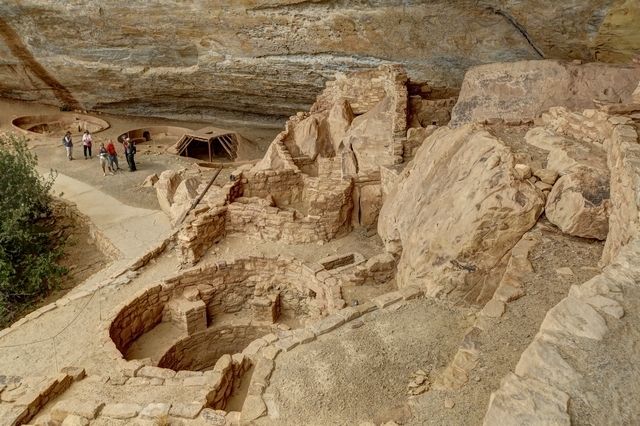 Mesa Verde consists of 52,000 acres of amazing landscape protecting nearly 5,000 archeological sites, including nearly 600 cliff dwellings. 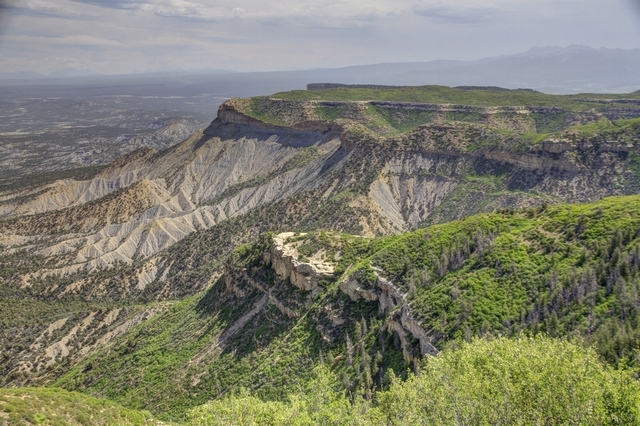 The portion of the park that is open to the public include 2 mesas ---- Wetherill Mesa and Chapin Mesa. Today we opted to drive to Wetherill Mesa and visit the sites there. There was no question today, Ed was doing the driving. Too many ups and downs and twists and turns for me, besides it's Ed's favourite kind of road. There are a lot of burned trees in the park, in fact over 70% of the park has been in a forest since 1906 when Mesa Verde became a national park. 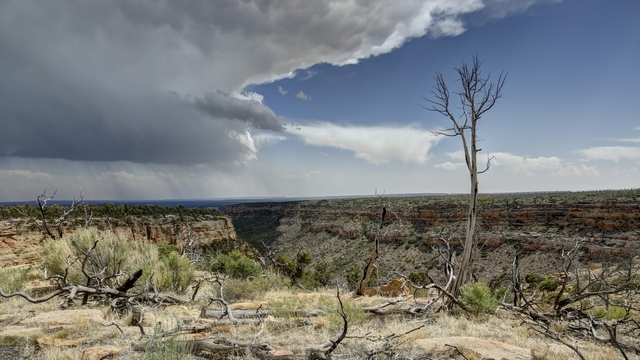 Mesa Verde is prone to lightning strikes - receiving up to 100 strikes in a 24-hour period during the summer. Park Point is the highest point in the park and home to a manned (in the summer months) fire tower as you can see in every direction. This is one of the views. Step House is the only ancient dwelling that does not require to a guided tour to visit it, though a ranger is available to answer questions. 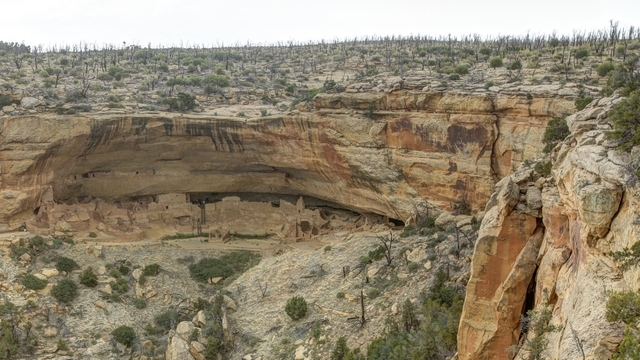 This is an unusual site as there are two separate construction periods in the same alcove, early Basketmaker pit houses built about 620 CE and a masonry pueblo dating to 1226 CE. 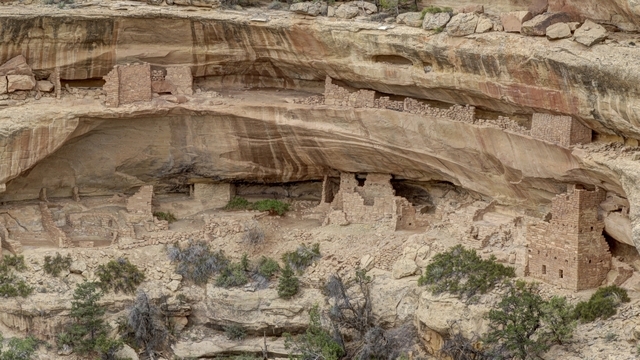 The Long House Loop Trail takes you through the Badger House Community and to overlooks of three cliff dwellings. 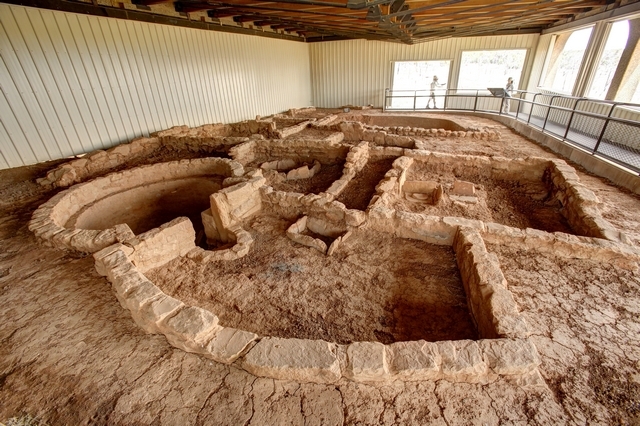 This Kiva in the Badger House Community was built about 1032 CE. They think this was during a period of transition, changing the pit home from family dwellings to building for special functions. It was cooler today, only in the mid 70s with some cloud cover and a thunderstorm was expected in the afternoon. 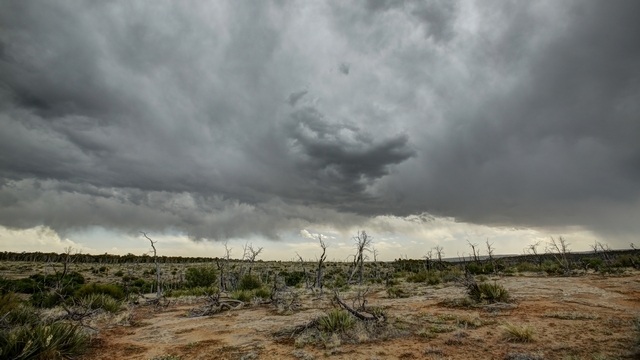 We were half way around an 8 km (5 mi) loop trail when we started to feel rain drops. The sky was dark and there was lots of rumbling, but somehow we only received a few minutes of light rain before the sun was shining again. 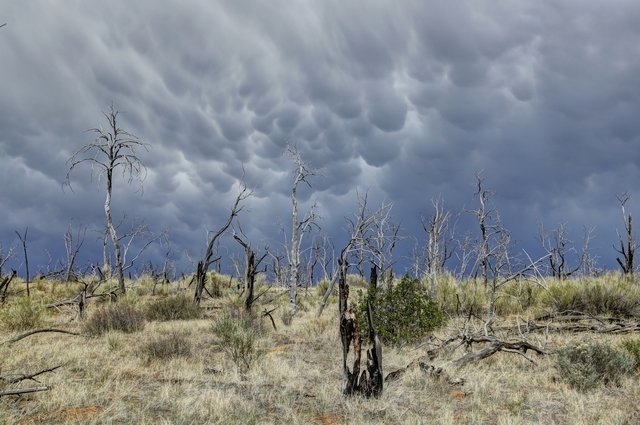 I think Ed managed to get some dramatic photos of the clouds. Hopefully someone received more rain than we did. Interesting tree stump and some flowering prickly pear cactus.